after dealing with several dealerships and having bad experiences, specifically gunther volkswagen. i am impressed by the speed this company got me a no nonsense quote. they quickly replied to an email request with a firm number and no high pressure follow ups. very impressed by their ethics and no nonsense approach. Amazing customer service! The entire staff was friendly and attentive. They were incredibly kind and so so helpful the entire time. I could not have asked for a better experience! Just leased my first VW this past week; the Atlas...amazing car! I have to recognize Tony the GM and Alex from sales....both guys were a pleasure to work with! They were being just as transparent as we were....no gimmicks. Thank you Vista! Great staff and amazing service. Would highly recommend! 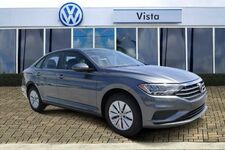 I gave Vista VW 5 stars a year ago and giving them 5 stars again. Their service department is second to none. Frances and her supervisor were wonderful today. Job well done! Antonio Moreno treated me like family. He took the time to find the right car for me. The signing process was one of the easiest I’ve ever experienced. He had me in and out of the dealership in no time. I would definitely recommend him and there dealership. Cory Cabrera showed spectacular communication skills and hospitality. Was very respectful and helped me find the best car that matched my preferences. would recommend a friend. Antonio was a big help in searching for a car he showed great knowledgeable of the products. Highly recommend to anyone in search of a new vehicle. I was having troubles with my phone not syncing with the vehicle and David walked me thru it step by step. Anytime i have any issues he will be the Genius that i go to. Howard did a terrific job locating the X3 that we wanted. When he was not able to obtain the 2018 car we wanted, he recommended we order a 2019. The result is a vehicle that meets exactly what we had in mind. Kimberly Rosa was excellent. She gave me enough space to make a decision, was very informative and certainly was a huge part in me purchasing my new 530i from Vista BMW - Pompano. Our 2015 BMW 750i was due for a change and as we have had superb service from their service department (Frank de Verona), we went back to Vista and leased a 2018 750i. Our sales guy was Howard Kusnick and he could not have been more helpful and he put together a great deal. This is an excellent BMW dealer and my wife commented on how comfortable the whole experience had been. Best car buying experience I’ve ever had! Howard was terrific he made the entire process so easy, simple and relaxing!!!! Would highly recommend Vista - and see Howard - to everyone!!! Very friendly and profecional team. They carefully coolect all of your needs and provide you with the best option they have to make a decision. Customer oriented. First off, Richard Torres is the greatest! He is patient, wants to be the best help he can be. He explained to us the benefit of buying vs leasing. We had a great experience when We purchased our car he made us feel comfortable. We were only looking but after talking to Richard We ended trading our old car for something better according with our needs . Thank you so much Richard you are the best!!!!! This dealership has by far the best team working there. Milson was so nice and courteous, as everyone should be in a place of business. I've already recommended 3 of my good business partners to him. I can't wait to hear their experience. Thanks Milson. 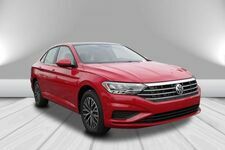 This review is for YOU; yes, that individual who has a specific Volkswagen vehicle in mind already and currently undecided as to what dealer to go in order to get the best deal possible. 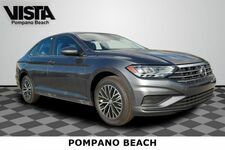 If this is you, keep on reading, if not, keep on reading as well, as I will give you an honest, concise and detailed review of a car leasing process and how easy, quick and painless, Vista VW of Pompano Beach and especially Mr. George McCarty made the whole process for me. Let’s start at the beginning, two weeks ago from today; I had my mind set on a VW Tiguan SE 2018 Lease. I needed an SUV, and this specific vehicle looked beautiful, had all the safety features I was looking for and most importantly, it was affordable. When I started my search, I contacted several VW dealers all the way from Ft. Myers/WPB area down to South Florida where I live. 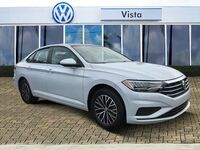 The initial quotes I received from the VW dealers in South Florida were ALL outrageous, with the exception of one VW dealer in Weston, which was competitive. 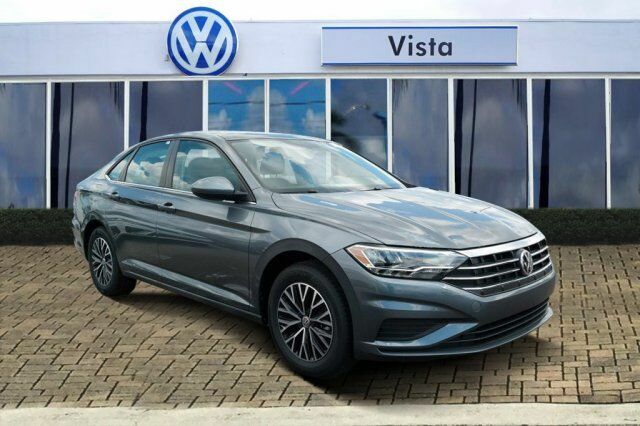 After various days of back and forth negotiating with dealers, through phone calls and emails, I received a call from George Mc Carty from the Vista VW dealer in Pompano. Mr. Mc Carty was following up on the initial quote inquiry I had submitted through their website portal a couple days prior (keep in mind this was the first time I had communicated with George), during the phone call I indicated to George that I was already in contact and in the final stages of negotiation with another dealer, to which George replied to at least give him a chance to earn my business, I said ok, and we agreed he’d get back to me within a couple hours. Twenty minutes hadn’t passed yet, when I received a call from George beating the best competitive quote I had gotten from the other dealers. Not only did George beat the quote, but he did it without haggling, without back and forth, without mystery and with all the numbers right up front and crystal clear. He helped me get everything set up on the phone and through email, I submitted a credit app before heading to the dealer and when I finally got there, it took less than 50 minutes overall to get everything completed and driving off with the car. I can say with all honesty, this has been the most painless car leasing/buying experience I’ve had in my 15-years of car ownership. I want to express my gratitude to George and commend him for his professionalism, sincerity and accommodating approach. If anyone is in Florida, especially South/Central Florida, DO NOT, I repeat DO NOT buy or lease a Volkswagen without first giving George a chance to earn your business. I know I’m glad I did, and so is my bank account. I had a great experience and the guys where so helpful especially Seidee I will recommend to everyone to go. Friendly staff . I got an Volkswagen Tiguan and I love it. 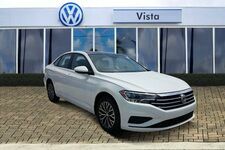 We are back again to lease another vehicle from Vista Volkswagen. This is the second vehicle we have gotten from this dealership in just 2 months. Guido was our outstanding sales person and he really was wonderful. Made deals over the phone and it did not matter how many calls or texts we exchanged, he was always willing to assist and very helpful. He stayed past his checking out time at night to explain ALL, and I mean ALL the features of my Passat. Not many salesmen would do that. David (Finance Manager) made these deals happen in a 2 minute phone call. Maggie (Finance Manager) knows her stuff, she explained in detail, every document we signed. This dealership, from top to bottom, cares and aims to please their customers which is evident the moment you begin to talk to them. 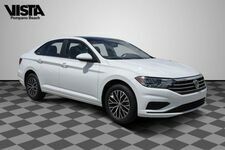 I've purchased a Jetta and now a Passat from these people and this should show everyone that THIS is the dealership to buy from - You won't be disappointed! I'm glad I came. Again Sabrina was very helpful and kept me updated about the condition of my car while they were working on it. Thank you. Sabrina. I know this is a VW dealership, I drive a BMW, but Vista BMW and VW are next door to each other. I happened to pull my BMW into the VW service by mistake. I just needed my tire pressures checked and fill up on washer fluid. The VW service advisor Pete did not miss a beat. Even though I was in the wrong place, he took care of me right there without having to drive to another spot. Simple, fast, and helpful. I wish everyone worked that way!! Thank u Pete! I was shopping around and was helped by Will the salesman. Will gave me all yhw information that i needed and didnt make me feel rushed. Im definitely coming back at Vista VW to see Will. Will is very patient and he also understand YOUR need, not what he want to sale. If you're looking to buy or lease a VW, please ask for Will. My sales representative did a good job, he was very helpful. He explained everything in terms that I can understand, and he is very professional.